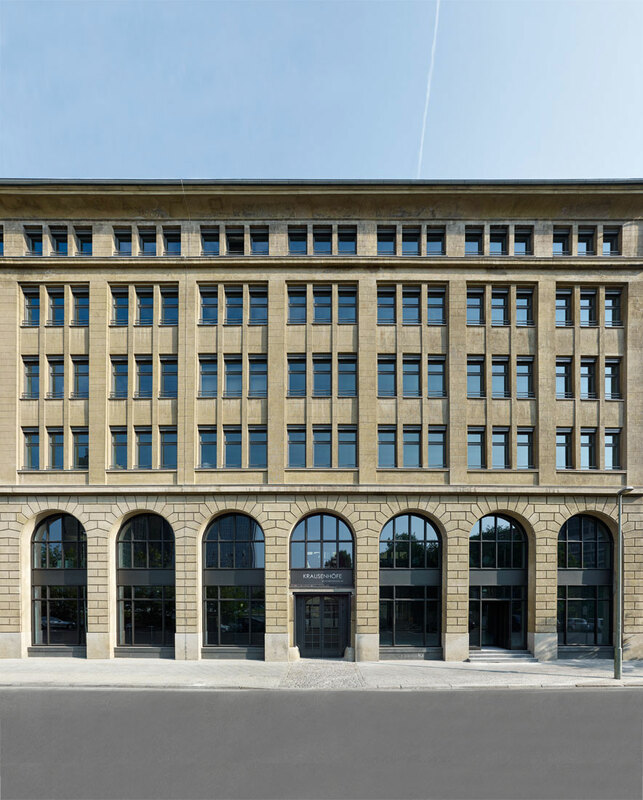 The landmarked former production building was built in 1910-1911 by the textile manufacturers Stadium, Brecht & Co. by the government architect Dernburg and court architect Bohm at today’s Marion-Countess-Dönhoff-Platz. On an elongated site in Berlin Mitte, between Krausenstraße and Schützenstraße, the Krausenhöfe include two primarry buildings, a transverse building and four side wings, which span two courtyards. The five-storey building can be accessed via both streets. 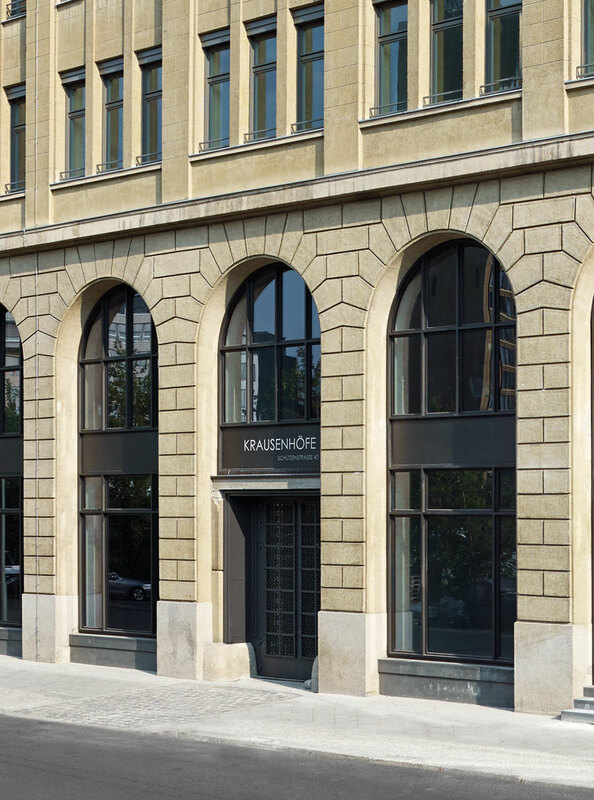 Both facades on the Krausen- and on the Schützenstraße comprise a ground floor and a first floor with special sandstone masonry (Heuscheuer and Rackwitzer sandstone) with arched outlines. 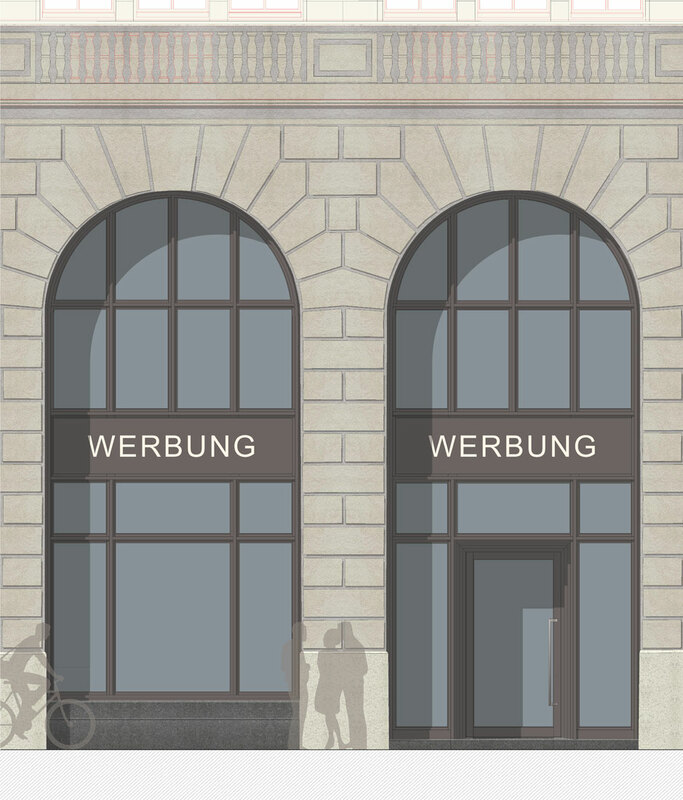 The renovation and conversion of the existing Krausenhöfe into an office and commercial building with a mixed-use concept of sales units on the ground floor, offices and meeting rooms and inviting roof terraces on the eastern side wings as well as the main houses was carried out while restoring the existing building structure. 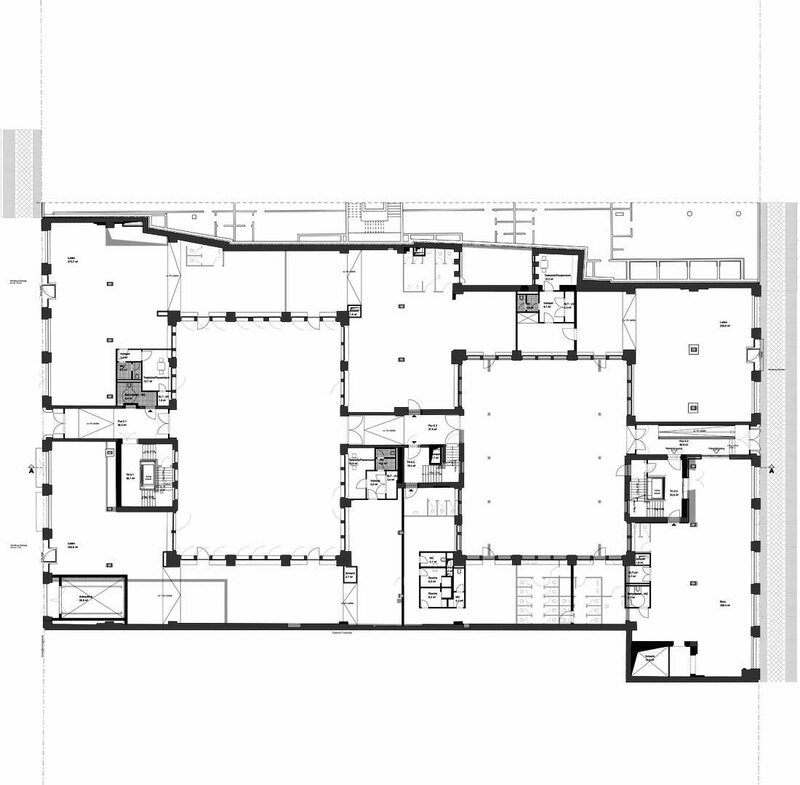 The preservation and enhancement of the characteristics of the historic building structure as well as the existing architectural structure is seen as enriching the working atmosphere for future use. The existing rustica sandstone facade remains integral, but was upgraded and renovated. The definition of the surfaces was carried out in close cooperation with the Landmarks and Preservation Office and is intended to take into account the monument as a testimony to turn-of-the-century production buildings.